One of the aspects of the upcoming expansion that Blizzard announced was allowing you to boost a single alt all the way to 90 instantly. See, looking back, I've always envied the hybrid classes. First off, the DPS queue. Typically this can be anywhere from 30 minutes to an hour in order to get into phased content (i.e. dungeon / LFR). As a warlock, there is no option to flip to heals or tank in order to get into a faster queue. Second, questing. My disc priest hates questing because fighting mobs takes forever. Often she'll end the fight a full health, but cannot deal with multiple mobs. Sure, she could go shadow, but I just don't have the shadow groove (haven't played affliction in a LONG time), so it tends to be a lot of senseless dying and corpse runs. Druid - Paladin - Monk (um, why doesn't Hearthstone have a Monk hero?). Druid has fun advantages. First off, flight form. I'd suppose that this level 90 will have already completed the quests(?) necessary for flight form, swim form, prancing elk form! If nothing else than to have a toon who can level mining and herbalism to max level for me. I had started leveling up a troll druid in the Cata beta, but haven't played another one since. Paladin for plate armor. Nothing more wonderful than a tank who sounds like an actual tank on the battlefield. Clanking armor and wielding a hammer to smash faces. My pally made it to 15 and is sitting on Kul'turas. My friends started off Alliance then hopped to Horde on Malfurion after some drama. I followed and never looked back. Monk, hmm, fling beer kegs. Not high on my list of classes. My panda monk is still working on the starting zone of Panderia; just about to reach the pivotal horde or alliance quest. 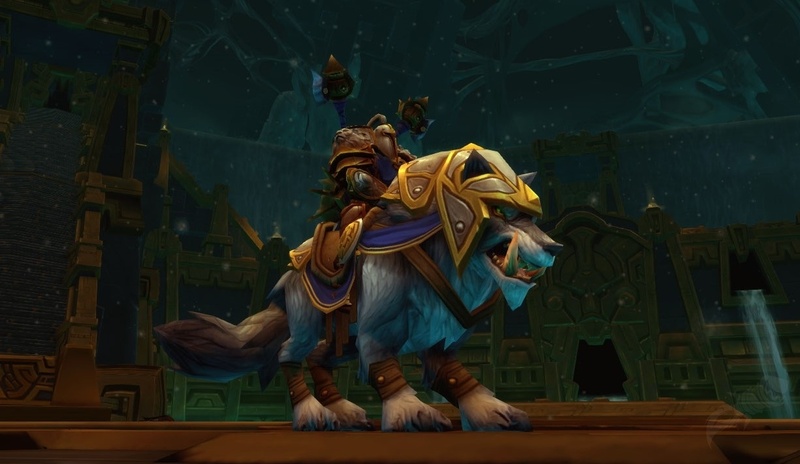 In patch 5.4, (according to WoWPopular.com), Retribution Paladin's are the most popular (hybrid) class, followed by Feral Druids. Looking at Cynwise's last class post, seems to match this data with 11.4% of max level toons being Paladins. Does this make it a good choice for me? Not sure. I suppose I really need to see which toon I can get out of the starting areas.